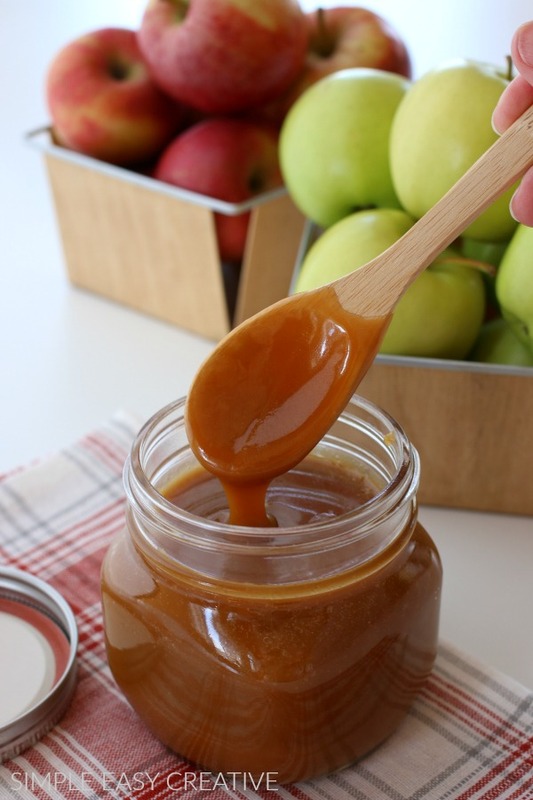 This rich, creamy Homemade Caramel Sauce is perfect for all of your Fall baking! 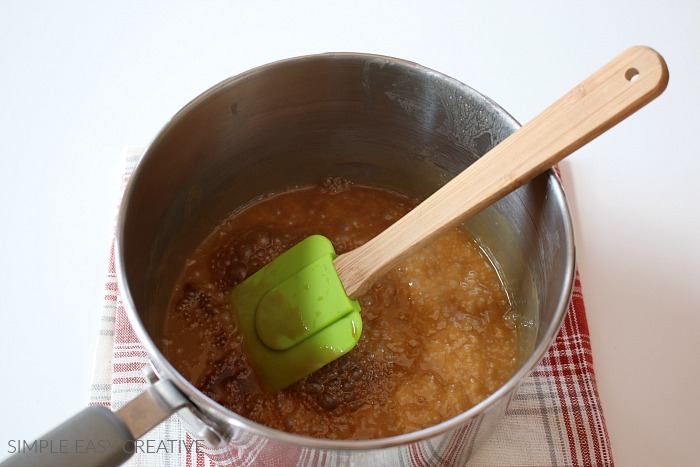 With only 5 ingredients and no candy thermometer needed, you can have Caramel Sauce for apples, ice cream topping or drizzle over dessert, in under 10 minutes. 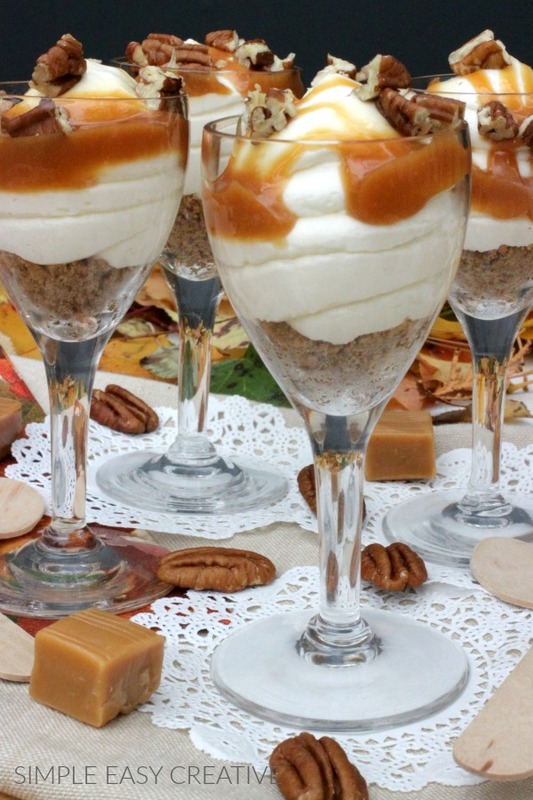 Caramel Sauce is my favorite topping, whether I’m adding on top of Ice Cream, or adding it to recipes like Caramel Apple Cream Cheese Dip and Caramel Pecan Cheesecake Trifles. Often times when you are making sauce which involves sugar, you need a candy thermometer. 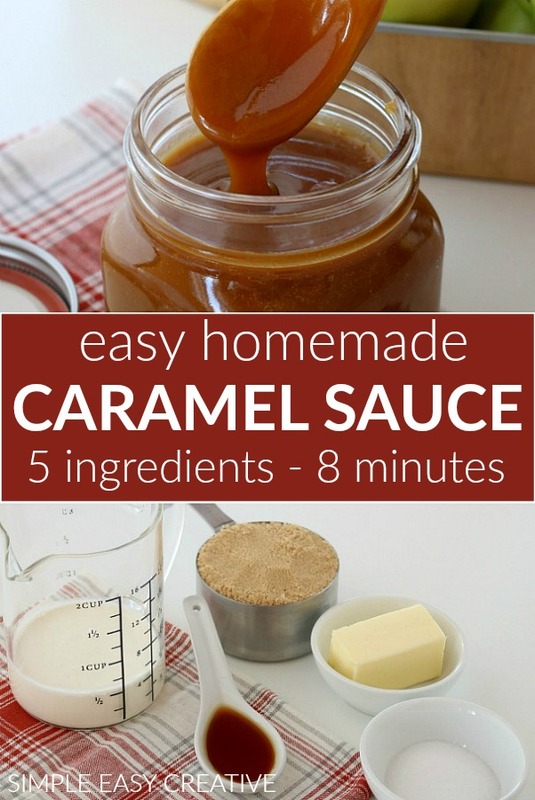 It’s always a good thing to have, and I use it when I make my Homemade Candy Corn and a few other recipes, but this Easy Caramel Sauce Recipe is easy enough, there is no special equipment needed. 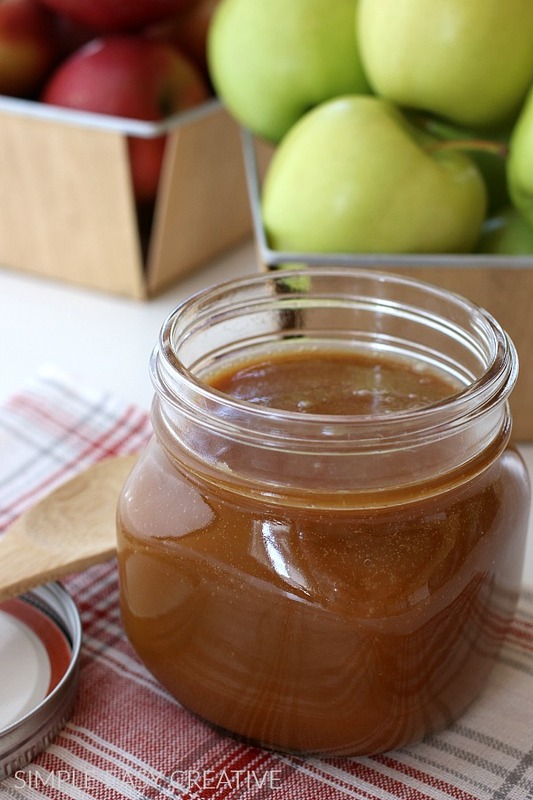 With only 5 ingredients you can make this Homemade Caramel Sauce. 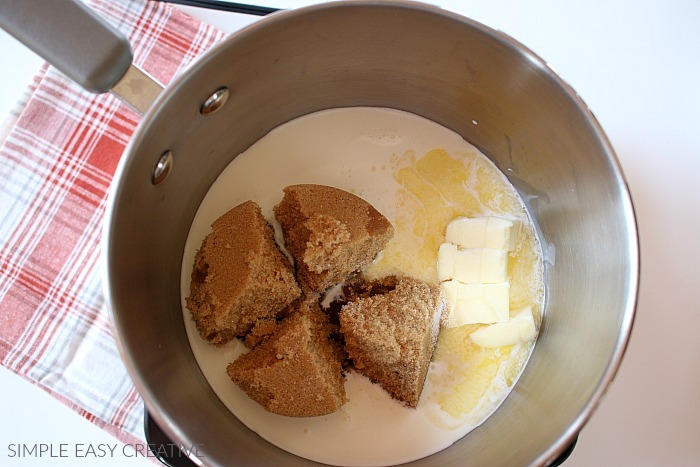 You will need – Heavy Whipping Cream, Brown Sugar, Butter, Salt (pinch) and Vanilla. 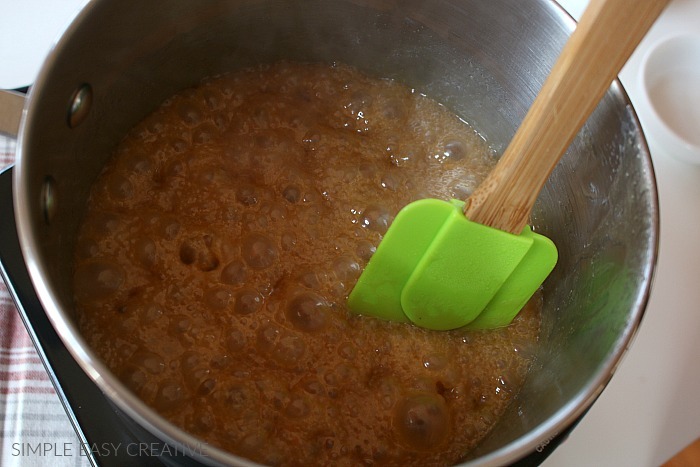 Begin making the Homemade Caramel by adding the heavy whipping cream, brown sugar, butter and salt to a heavy saucepan. Heat caramel sauce over medium-high heat, stirring to completely combine the ingredients. 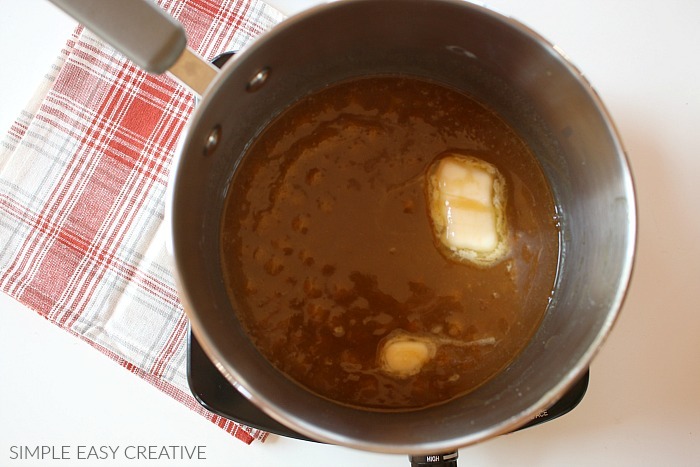 Bring the caramel sauce to boil, and continue to boil 5-7 minutes until mixture thickens. Then remove the pan from the heat and add the vanilla. Stir well. The single recipe listed below makes 1 cup, I doubled the recipe so that we had plenty for the Caramel Apple Fondue and Ice Cream. Storing the caramel sauce in a mason jar works really well. 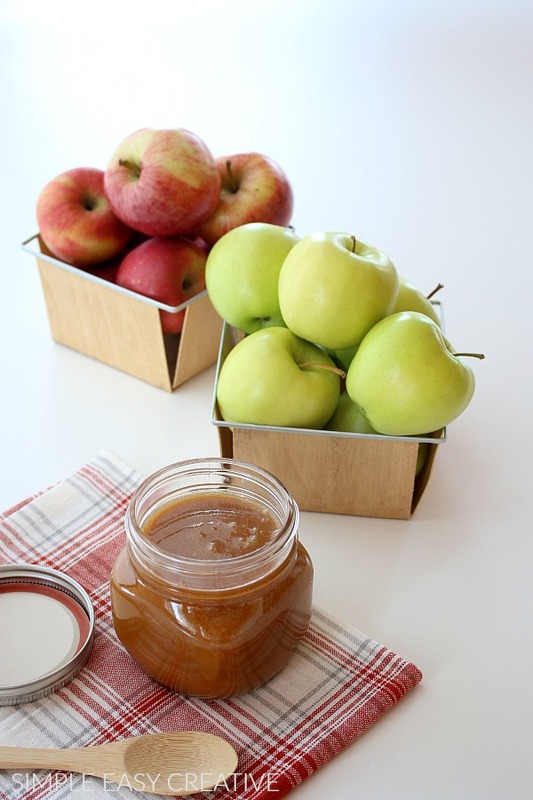 Store caramel sauce in a sealed container in the refrigerator for up to 2 weeks. 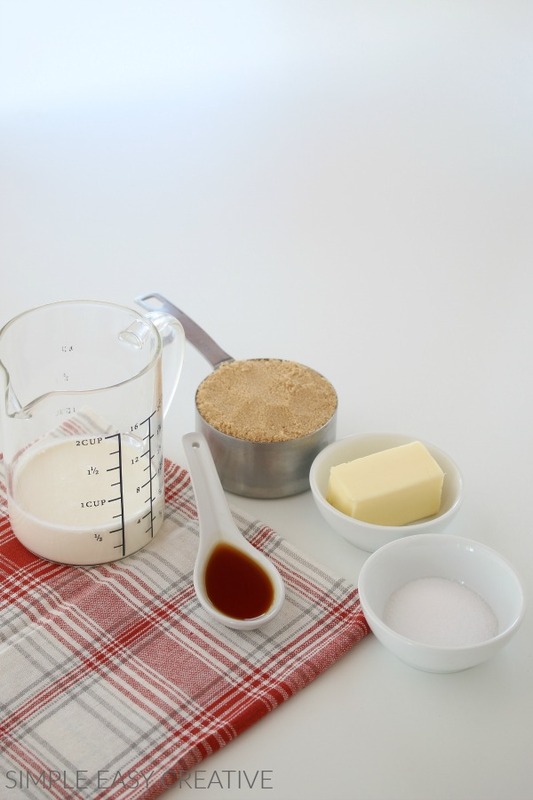 This recipe has a pinch of regular salt, but you can easily make this recipe into Salted Caramel Sauce by adding sea salt flakes. This Homemade Caramel also makes great gifts! Caramel Sauce will keep in refrigerator up to 2 weeks in sealed container. Be sure to reheat before serving. This was great on cheesecake! Thrilled you liked it Danielle! Thanks for letting me know! Aaaamazing! Needed a quick Carmel sauce and this fit the bill! Thanks! Thrilled you liked it Debbie! Thanks so much for letting me know! This is perfect on ice cream! Oh yes! I love it on ice cream! 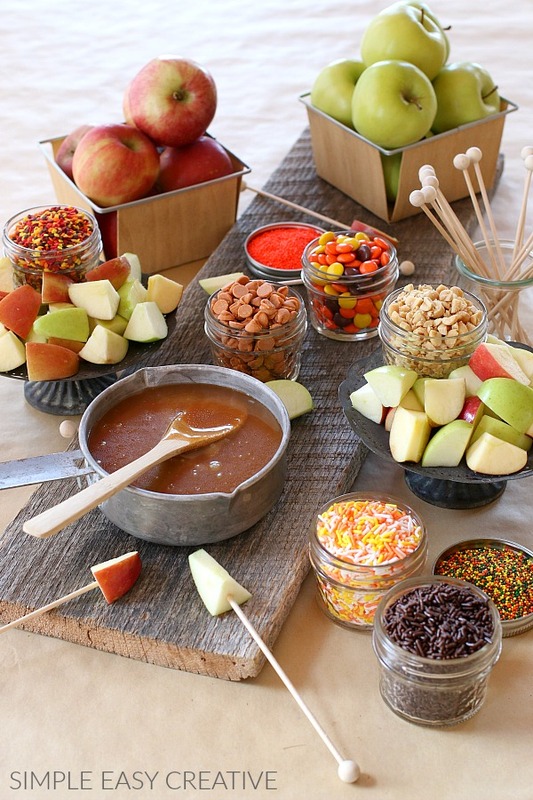 The perfect recipe for fall! I’m obsessed!! Yum! Thanks Michael! I’m obsessed too! Oh YUM!! I can’t wait to make this!! It sounds aaahmaazing!! This makes me so excited for fall and all the yummy food it brings! Can’t wait to make this! I love all the Fall flavors! An absolute STAPLE recipe! 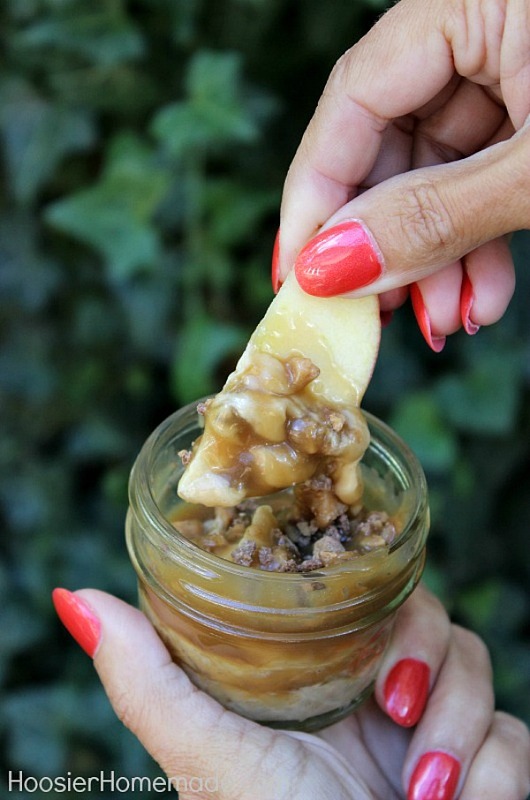 I adore this sauce from everything to putting on pancakes to dipping apples in it. Oh yum! Pancakes! I hadn’t thought of that! Hello, was just wondering how long this stays good in fridge and can your freeze it? Hi Jessica, as long as the container is well sealed, it should keep in the fridge at least 2 weeks. The recipe doesn’t make a ton, so it does go fast. I don’t think it would freeze well though.